Not all sunscreens are created equal, and some contain toxic ingredients that can harm your skin. 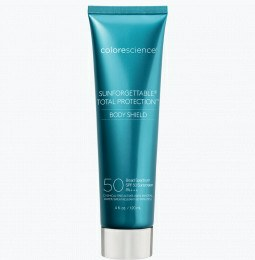 Colorescience offers skin-friendly sunscreens that protect your skin without the toxic effects of other sunscreen products. What are the harmful ingredients found in sunscreen? How is Oxybenzone bad for skin? Oxybenzone is one of the most common chemicals found in sunscreen. This chemical forms colorless crystals that act as a filter to protect your skin from UV light. Although the purpose of Oxybenzone is to absorb UV rays, it can also be absorbed by the skin. Oxybenzone can disrupt the endocrine system and mimic hormones, causing endometriosis and reproductive harm. It can also contribute to infertility in men and early puberty in girls. Colorescience offers mineral sunblock without Oxybenzone as an alternative. 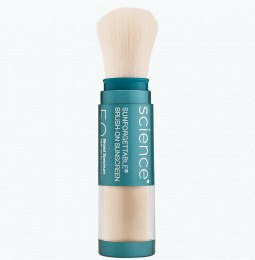 Our powder sunscreen is made of natural minerals that brush on lightly and won’t seep into your skin. 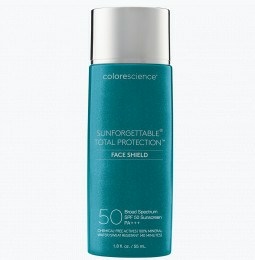 This creates a barrier that reflects the sun’s light to protect your skin without harming your body. How does PABA effect the skin? PABA, also known as Para-AminoBenoic Acid, is an antioxidant that is naturally produced by the body, but excessive doses of PABA can cause toxicity and liver damage. People who are sensitive to PABA may experience skin reactions, nausea, fever, vomiting, diarrhea, and stupor. If you experience these symptoms when you apply sunscreen, wash it off and seek medical attention right away. Choose Colorescience for PABA-free sunscreen to protect your skin and prevent toxicity. 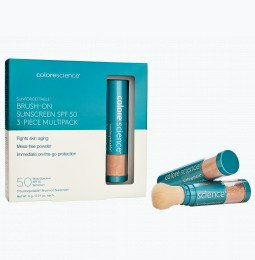 Are their healthy sunscreen alternatives? Yes! Colorescience natural mineral sunscreens contain ingredients that shield your skin from the sun without the damaging effects of other sunscreens. We offer skin-friendly sunscreens without chemicals, so you can feel good about applying your sun protection. We only use essential ingredients like zinc oxide and titanium dioxide to provide natural protection from the sun. 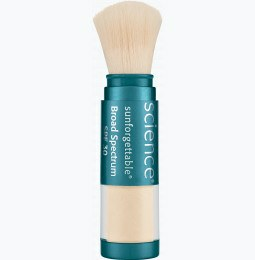 If you’re prone to breakouts, our oil-free mineral sunscreen won’t clog your pores and will help prevent acne. Whether you’re looking for pregnancy sunscreen or paraben-free sunscreen, Colorescience has you covered.